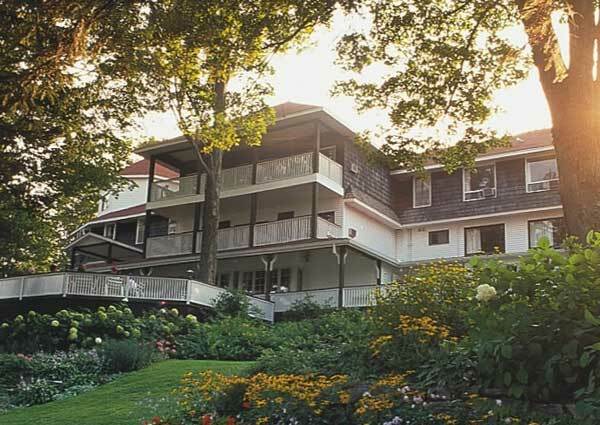 Clevelands House suits its status as one the first grand hotels to grace Muskoka. It’s laid out on 408 acres with over 3000 feet of prime Lake Rosseau waterfront. The winding road leading into the resort’s entrance makes it easy to see why the first guests would have come by boat. It has a long tradition of being a family getaway, offering a children’s club with over 55 councilors on staff and adult social programs. 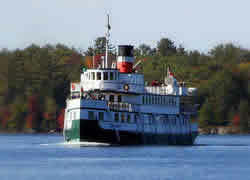 Clevelands House is one of the original large hotels to dot the landscape of Muskoka. After more than 125 years the original structures still stand. In 1869 Charles Minett descended upon the western shores of Lake Rosseau and built his family a log cabin. Outgrowing this, Charles, a carpenter, built a house that would become the main hotel, and then set about building boats, the only way to get around reliably in Muskoka. Ironically, the hotel’s name was a printer’s mistake. Minett ordered the hotels first register in 1883 and asked it to be labeled Cleeve Lands, after his English birthplace, but the printer put Clevelands and it was never corrected. From 1869 to 1953, the Minett family ran the resort. In 1953, Ted and Laura Wright purchased the business and operated it for 16 years. Bob Cornell was hired as general manager, and eventually bought the resort from the Wrights in 1969. Bob and Fran Cornell have continued to grow this charming lakeside retreat, bringing its capacity from 150 guests to over 500. The growth has not meant a loss of its old northern feel. Visitors will find a lot of wood, soft colours, and the charming imperfections of old buildings. However, guests will also find all the modern conveniences. The reception area is manned by a large print of a boat, symbolic of how the resort’s first guests arrived. When Minett needed to add a third story to Clevelands House, he chose a design with a mansard roof and octagonal tower to resemble a ship. The grounds of this property are fit for royalty. The 2004 Award of Excellence winner from the Landscape Ontario Horticultural Trades Association, Clevelands House proves that even the goddess Muskoka can become more beautiful. 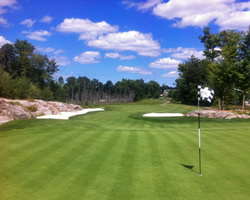 Maple Hills GC, the onsite executive 9 hole golf course, was established in 1869, making it one of the oldest in the Muskoka region. This 1890 yard par 32 layout overlooks Lake Rosseau and can play in two hours or less. Golfers looking for a more serious challenge will find their needs satified at the Nick Faldo designed The Rock. The Rock is also on site and is a true test of golf with the yardage ranging from 4700 to over 6600 yards.